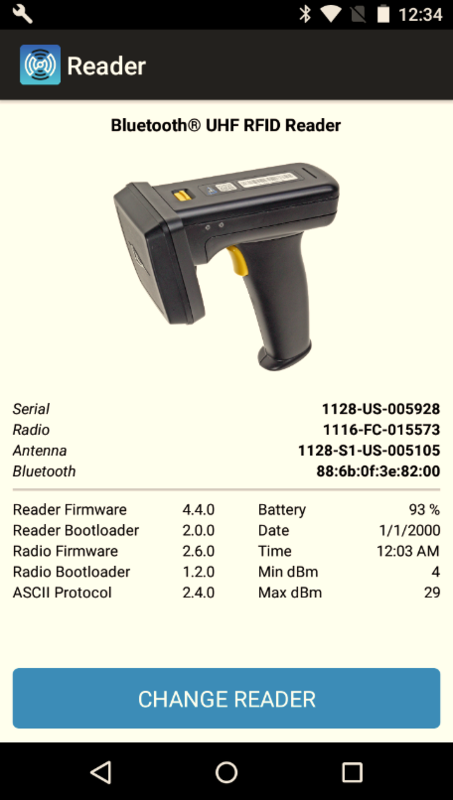 This article will cover the steps required to setup the TSL 1128 handheld reader to read UHF RFID tags. The TSL 1128 handheld reader is a very useful reader that requires a minimum amount of setup. The 1128 reader supports Bluetooth communication with both mobile devices and desktop computers via TSL and third-party developed applications. 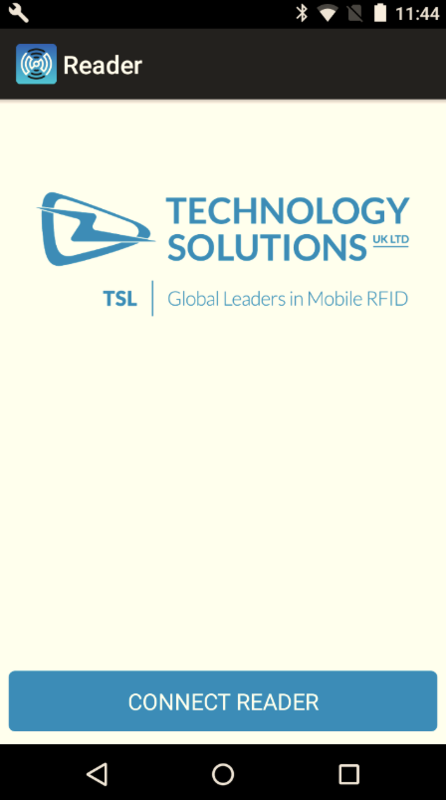 First, let's take a look at the TSL 1128 reader paired with an Android mobile device. To connect the reader to the phone, install the free TSL Demo App for Android from the Google Play Store. Once installed, launch the app and select "Connect Reader". On the Select Reader screen, select "ADD NEW". At this point, pull the trigger on the reader to activate its Bluetooth mode, in which the reader will broadcast its Bluetooth signal in order to be discovered by nearby devices. Once the reader's Bluetooth name populates in the app, select it to connect to the reader. 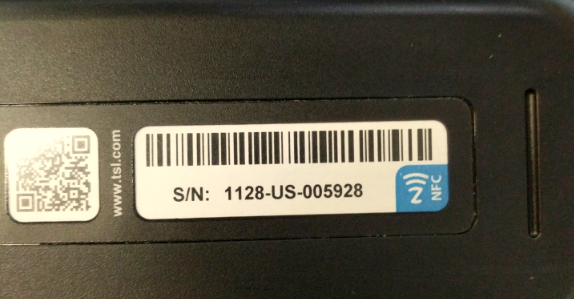 The reader's Bluetooth name will be the reader's serial number. 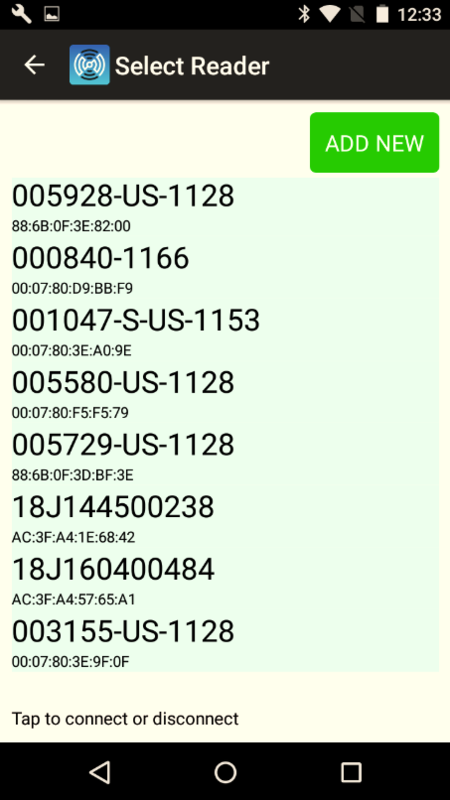 For example, if the reader's serial number is 1128-US-005928, its Bluetooth name will be "005928-US-1128". Once the reader is connected, the app will show the reader's information page. From this page, relevant reader data such as its firmware version and battery level can be viewed. To access the reader's Inventory mode, swipe left on the screen. From this screen, the user can perform basic RFID and Barcode reading and monitor the responses in separate lists. Additionally, the read power level can be varied using the slider. To perform an RFID read, simply press the trigger on the reader. Pressing the trigger twice in quick succession will allow the user to read barcodes. Selecting a tag's EPC from this menu will allow the user to use the reader's Tag Finder and Read/Write functionalities for the selected tag. The reader's Tag Finder mode can be accessed by swiping left from the Inventory screen. If no tag was selected in the Inventory screen, then a tag EPC can be manually entered on this screen. 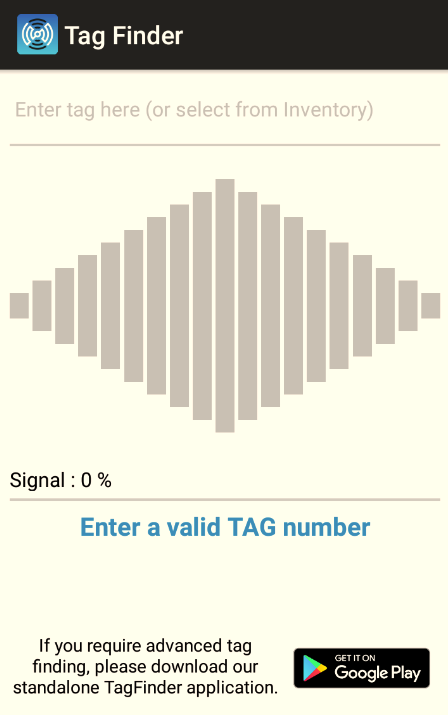 To use the Tag Finder functionality, simply pull and hold the trigger on the reader and monitor the Tag Finder screen to see how strongly the desired tag's signal is being received. Optimally, as the reader comes in closer proximity to the selected tag, the received signal will increase, allowing the user to effectively locate the selected tag. 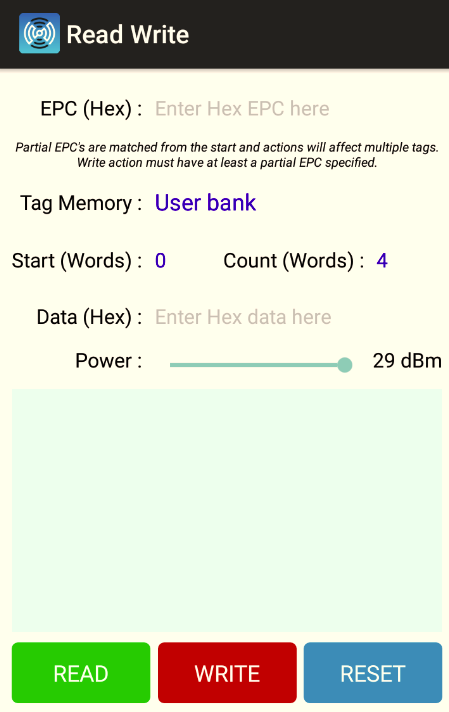 To use the Read/Write functionality of the reader, a tag must be selected from the Inventory screen or manually entered into the EPC (Hex) : field. The selected tag's different memory banks can be selected using the Tag Memory dropdown, and the new data to be written to a tag is entered in the Data (Hex) field. Select the WRITE button to write to the selected tag. Once a successful write operation has completed, the text field at the bottom of the screen will report the new EPC as well as the number of words successfully written. In addition to the TSL mobile apps outlined above, the 1128 reader also supports many third-party applications. 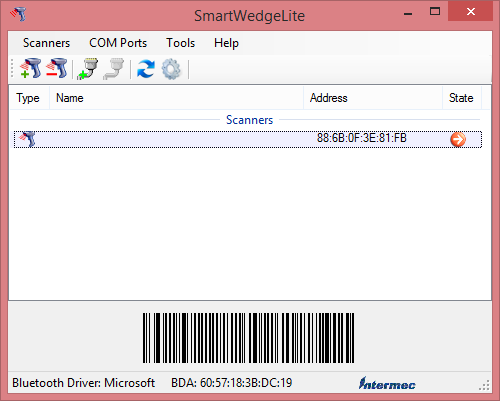 One of these applications, called SmartWedge, allows the reader to report tag EPCs and scanned barcodes to a desktop as a keyboard emulation tool. What this means is that the reader will "pretend" to be a keyboard, and will type the tag data into any available text field, such as a Microsoft Word document or an Excel spreadsheet. To pair the reader with this app, simply download the app from the link at the top of this article and launch it. 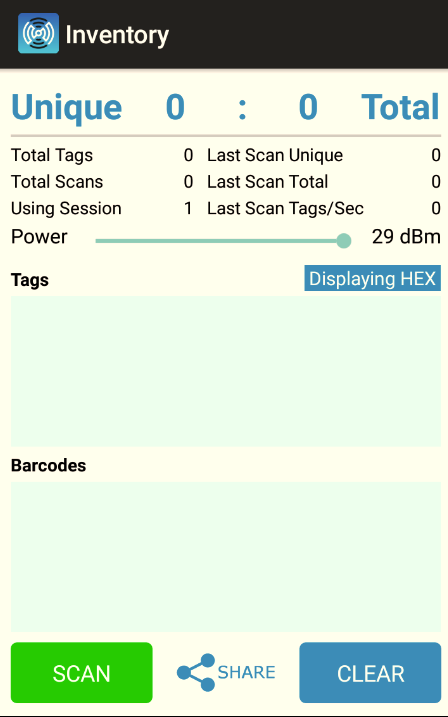 Once the app is launched, pull the reader trigger to initiate a Bluetooth scan, and select the "Add scanner" button at the top left of the application screen. Select the reader's Bluetooth name from the menu and select OK to add the reader to the application. Once the reader is connected, open a document or spreadsheet and simply pull the reader trigger to begin reading tags. The tags will populate in an available text field using the keyboard emulation functionality. 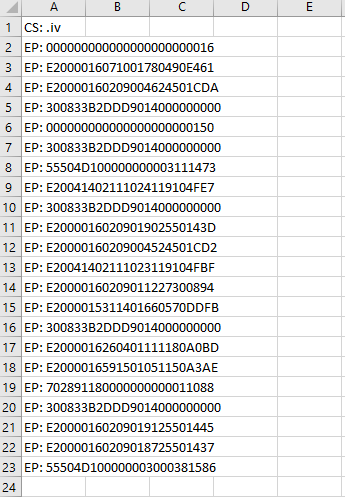 The picture below shows an example of how this looks in Excel. The data outputs a new line character at the end of each tag report, so each tag report will populate its own cell.